In Matthew 25:31-46, Jesus addressed his disciples concerning the kind of kingdom activity God is looking for. He spoke of separating the sheep from the goats, putting the sheep at his right hand and the goats at his left. “Then the king will say to those at his right hand, ‘Come, you that are blessed by my Father, inherit the kingdom prepared for you from the foundation of the world” (v.34). Based on this passage, we believe that the Lord is looking favorably on the work we are doing at Camp Skillz in Madison because we have taken Jesus’ Kingdom criteria seriously. “For I was hungry and you gave me food, I was thirsty and you gave me a drink” (v.35). In a literal sense, we are satisfying hunger, providing participants with a healthy breakfast and lunch each day. The kids who come to our camp don’t take this food for granted, as if it’s something that can be rejected because of preference, without the consequence of hunger. They eat almost everything we provide! And they receive it with gratitude! 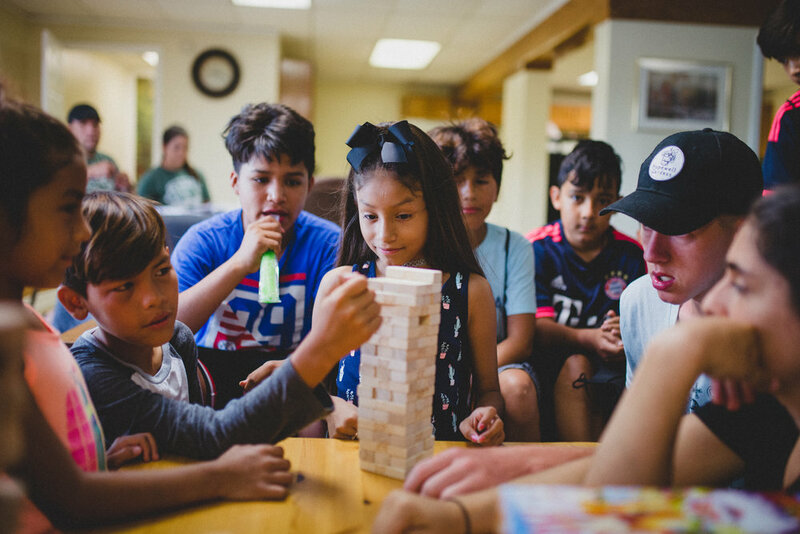 Not only that, we provided water bottles for the children, so that they could stay hydrated while we play games and facilitate learning activities in the Tennessee July heat. We’ve noticed that the kids faithfully bring their bottles back to camp each day. This week is the final week of camp and there hasn’t been a single water bottle lost. They appreciate what they’ve been given. We invited them to our camp and those that signed up have consistently shown up. We’ve made it our aim to create a safe, hospitable environment, where children can play, learn, and develop valuable life skills. The result has been so rewarding to see: the kids feel welcomed - they feel loved - and even though the older kids might seem resistant at times, they keep coming back day after day, participating in the activities and showing that they enjoy it. In the gospels we learn that Jesus’ healing activity extends far beyond the physical - he restores minds and shows people just how valuable they are. One young girl confided in a Camp Skillz counselor that she attempted to harm herself several years ago. This standoffish young girl needed to be empowered - she needed to feel important. So we gave her the responsibility of being the camp photographer! She loves it! I’ve watched her as she snaps pictures of younger children doing crafts. I’ve seen her moving around with a bounce in her step and excitement over this wonderful opportunity. I’m confident that God is healing her as we demonstrate that she has great value and worth. Our site director shared a story about a lesson they had taught the campers about leadership. After hearing several older kids struggle with the responsibility of caring for multiple younger siblings he reminded them that that too is leadership. “I know it’s hard. You’re having to do a very adult thing, and it’s not easy. I’m sorry. But you know, you are being given this opportunity to become a leader. What you do, the little kids learn from, and if you can set for them a good example, it will also help those younger than them.” He said he watched their eyes light up as they reframed their experience from something burdensome and tiring, to a powerful opportunity. He watched one boy who was very quiet suddenly get loud as he corrected another boy who was doing wrong. They needed someone to take care of them, to value them for who they are, and yet instill the inspiration to keep going, and do well. They’re getting it. The lives many of these kids experience could be likened to a type of prison. 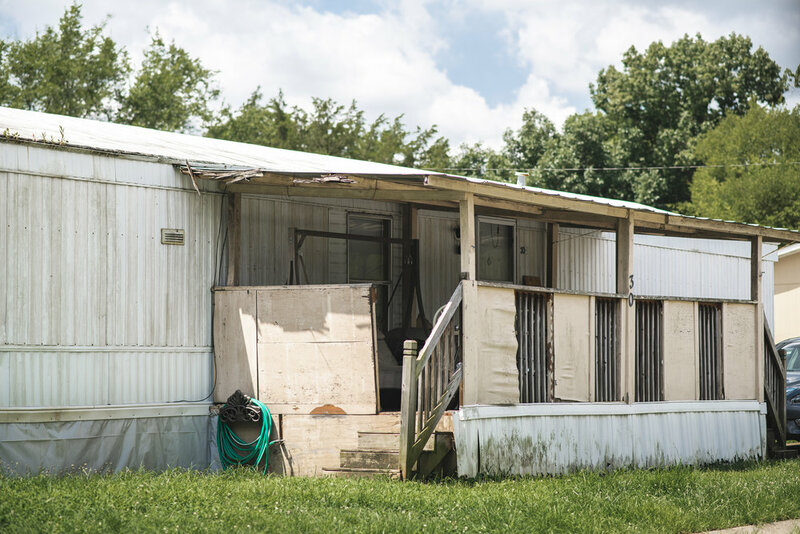 They have little access to beneficial summer activities—many are confined to their single-wide trailer or the mobile home park that has limited resources. Yes, there is a basketball court, but these kids don’t play basketball. After learning that they weren’t allowed to play on the court because their soccer games were ruining the fence, we asked if we could reinforce the fence and allow for it to double as a street soccer court. The complex approved. After playing a few games on it, the campers asked: “are you going to take this with you when you leave?” --evidence that they didn't that good things could last. We assured them “this stays here, it’s for you guys,” and got to work creating their first soccer goals. They’re having to re-learn how to play soccer because they were only used to utilizing a folding chair for their goals. "Truly I tell you, just as you did it to one of the least of these who are members of my family, you did it to me." (Matt. 25:40). These children - these families - are considered ‘less than’ in our xenophobic society. But the Lord sees them as worthy members of his family. We are privileged to serve God by serving them. I am so encouraged by the work happening in Madison, but also compelled that there is more to do. There are kids that we have yet to reach. Please be in prayer as we establish a presence in this community—one that will allow parents and families to trust us.